Six weeks ago, Army Spc. 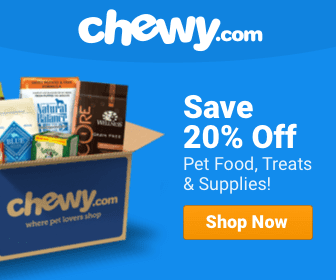 Alec Alcoser, 22, and his working dog, Alex, were on patrol just outside Bagram Airfield, the largest U.S. military base in Afghanistan when a young man approached. According to the San Antonio Express-News, two Afghan and three Czech soldiers stepped between Alcoser and the young Afghan to conduct a search. Alcoser called Alex back, bending down to get a cigarette. Then, a flash. Alex yelped. A firefight erupted. The dog and the soldier stayed together. 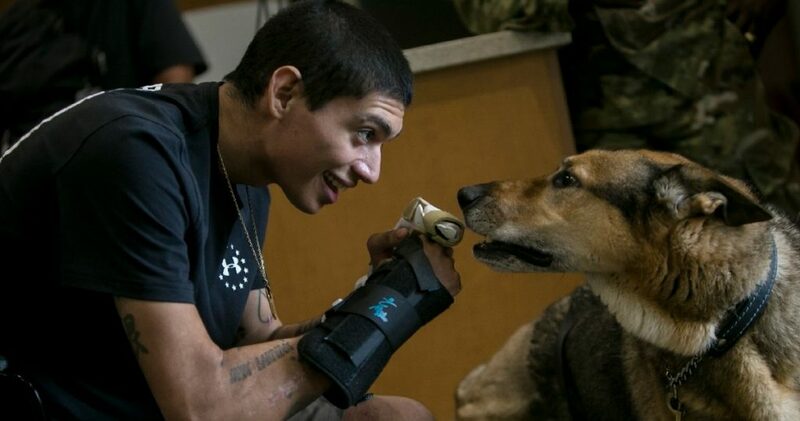 Last week, the pair were reunited at the South Texas Veterans Health Care System’s Polytrauma Rehabilitation Center. Alcoser was emotional. Alex licked his face. The last time they had seen one another they were in Washington, D.C., where both received the Purple Heart. This time, though, if all goes as planned, the pair will be together for good. Alcoser was 6.5 months into a nine-month deployment when the suicide bomber attack occurred. On days off, they shared a bed. On duty days, they shared rituals. The Aug. 5 left Alcoser with shrapnel wounds, broken bones and a mild traumatic brain injury, but doctors say he escaped without any loss in cognitive ability. Alex lost his back left leg. Both are learning how to get around again. The shrapnel wounds cover about 30 percent of Alcoser’s body, most in his lower extremities. Its emergence is a slow and painful process. Both his arms and legs were broken, among other bones. He uses a cane or a walker. Alex limps sometimes, too. 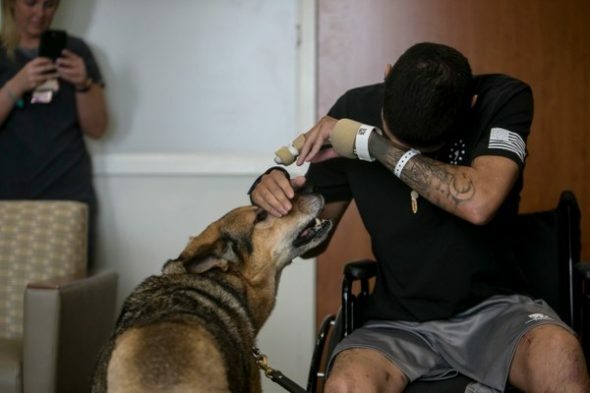 There are goals to reduce the vet’s dependence on pain meds and in time get him well enough to start work at the Center for the Intrepid at JBSA-Fort Sam Houston. Multiple surgeries over the past several weeks make medical memories hazy. There is lots of rehab in his future. Alex, who is 8 and a half, was trained to detect explosives and corner suspects who try to run and hide, doesn’t realize he’s retired. He tried to search a car after arriving at Audie Murphy VA Hospital. Alcoser is not daunted by the frustrations of learning to walk again. He has wife, Misty, and an infant son. His mother, who lives in Houston, drives to the hospital to visit every weekend. In time, he’d like to return to his post at Fort Drum, New York. He’d like to be a Sergeant one day. He thinks on fallen brothers often. The Afghans and Czechs took the worst of what the suicide bomber brought. Though the former survived, the Czechs were killed instantly. “There’s no point in being mad or sad or anything like that. I’ve got to live through the people who died for me, so they give me a lot of strength,” he said. “And Alex ain’t complaining, so I don’t think I should, either. His injuries are a little worse than mine,” Alcoser said.